The medical needs of senior animals change over time. In fact, pets age at nearly seven times the rate humans do. As your pet gets older, they require different nutritional programs and exercise routines, and they are prone to a variety of new diseases. Here at Chena Veterinary Clinic, Dr. Rember appreciates senior animals and the extra care that they need. Her and our staff are here to provide ongoing education to pet owners about what to expect from, and how to prepare for, elderly animals. 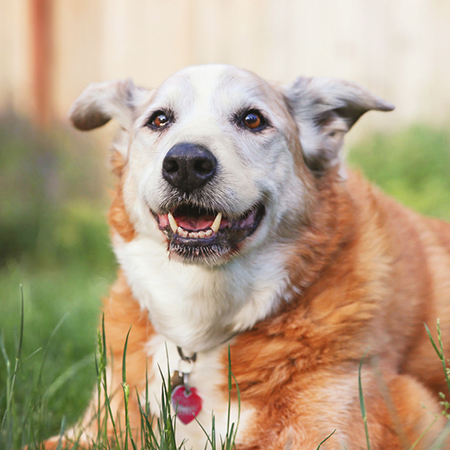 Separating the natural aging process from emerging medical disorders becomes increasingly difficult with senior pets. Routine veterinary visits are the best way to identify, track progress and treat problems early on. Along with the ASPCA, we also recommend that senior pets see their veterinarian every six months. These visits establish the baseline health of your pet and are used to ensure that they are aging normally. We are always available to answer questions or concerns you may have about your aging animal companion. Schedule an appointment today or call us at 907-268-3379 to discover the many ways we can help your beloved senior pet!